TAMI Aluminum Extrusion with Eco Diffuser - .2" Deep NEW! The TAMI anodized and non-anodized aluminum extrusions with Eco covers are a low cost alternative to our slim MICRO profile. The ultra thin and translucent Eco cover provides protection from dust while the TAMI extrusion provides a heat sink for any 8-13mm wide un-coated LED strip lights. A cover is included with each extrusion and simply slides into place. The lights will not diffuse like our other extrusion and cover options. This channel and cover is designed to be an economical housing for LED strip lights that will be installed in more of a concealed location. The TAMI is a low cost, non-waterproof solution to create a linear lighting track for any LED strip light less than 13mm in width. This product is a plastic end cap for our TAMI Aluminum Extrusions to give your LED strip light fixture a clean and finished look. This cap and the TAMI extrusion are not meant to be used in outdoor applications and are not UV or waterproof. End caps are sold individually and in single units and will pair with both anodized and non anodized versions of the TAMI profile. 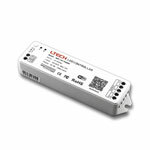 Our UL Listed 12VDC Ribbon Star Ultra Daylight White strip lights are a super bright LED for interior linear lighting projects. The daylight white color temperature falls between our white and warm white color tones and is perfect for areas such as kitchens, garages, play and work areas, offices, or any place where a more invigorating light would be helpful over the calming effects of a warm white color temperature. Each 118" roll of LED strip includes high tack 3M double sided tape for permanent mounting to adherable surfaces. The strip light is made from a 10mm wide PC board and has 3 surface mount LEDs positioned every 0.98" for a total of 360 SMD LEDs per 3 meter strip light. Ribbon Star Ultra strips can be customized and cut every 1 inch and have copper pads for a soldered wire connection or for use with our quick connector options. Each roll of Ribbon Star Ultra includes 2 quick connectors to bare lead wire. 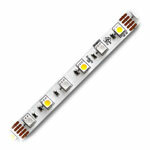 This strip light is UL listed for class 2 wiring, CE and RoHS approved. The Flexible UL Listed Ribbon Star 50/50 Amber LED Ribbon Strip Light is a super bright light source for many projects. This 118" (3m) strip can be cut every two inches and has many quick connection options for easy connection and use. Comes with 3M™ mounting tape on the back, for the best long-term mounting solution. 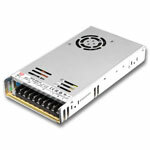 There are three 50/50 SMD LEDs per two inches and 180 50/50 LED Chips for this 118" strip. 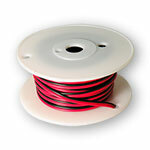 Consuming 4.6W of 12VDC energy per foot, this 3M length requires at least a 46W 12VDC Power Supply. This LED Ribbon Strip is brighter than our Ribbon Star Max and the brightest Amber LED Strip that we carry. It can be used for overhead lighting, cove, under cabinet, backlighting and many more applications. 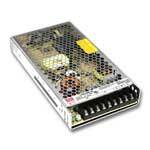 Comes with two quick connectors (see picture>>). 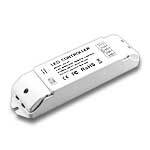 Requires a 12VDC Constant Voltage power source, UL listed for class 2 circuits, RoHS and CE approved.